Jodi McAlister engaged a large audience of teenagers and adults at the Tamar Valley Writer’s Festival, and many of us expressed an interest in following through on this series and bought copies of Valentine on the spot. Carol Fuller shares her response to this new YA series. This is where Australian Twilight combines with teen Fifty Shade of Grey to create a steam roller story that drips with horror, romance, teenage slick speak and suspense. And kicks off a compelling series for TA readers. 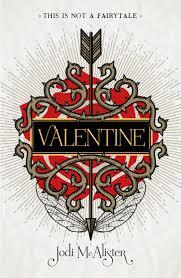 Valentine, the first in McAlister's lates series, is a horror, fairy story that develops at a fast pace, much like the thought streams that run through Pearl’s head. Pearl is the protagonist; a feisty, clever, scheming seventeen-year-old who acts, speaks, thinks, dreams and whatever.…like any real teenage girl just completing HSC… I suppose. It’s a long time since I occupied that space and social norms and behaviours have changed so much. Jodie McAlister is much closer to that stage in life and is able to create young characters that ring very modern, true and realistic. McAlister is able to build romantic tension between the protagonists, Pearl and Finn while all around them inexplicable awful, gory events occur. The fairy mystery poses questions about who and what and why which keeps the story line gripping and suspenseful. This series has so much happening on so many levels making it is easy to identify something that will appeal whether it be horror, romance, teen angst, mystery, magic and more. 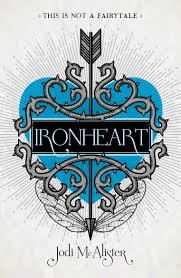 The first book, Valentine stands alone but the reader will most certainly be eager to take up the second book, Ironheart to find out what happens to Pearl and Fin and their close circle of friends. Similarly at the end of Ironheart the reader just wants more. But that volume isn’t out yet. Can’t wait! 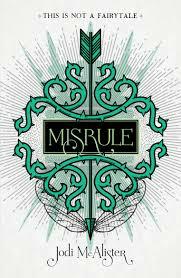 … and watching out for the February 2019 publication of Misrule. Thanks so much for sharing a brief insight into this new series for teenagers. We are always looking for new, engaging and exciting titles for our students. Definitely a series to be followed by in 2019.